Posted a longer type form post on Duka over at Massive Report. When the post first started to take shape I just wanted to go week to week and use quotes from game recaps but as I went on I realized that there weren't enough mentions of Duka other than a couple assists and a team of the week nomination about halfway through the year. This isn't unique to Duka or any other player. It's more of limited coverage of MLS teams. I'm sure it could be done for players like Henry/Beckham and of course any player on the Seattle roster though. Going through his season I can see where the frustration set in. As soon as he recovered from his game one injury and started getting minutes he really started to improve the team (also, it helped that Mirosevic was not out there during that time). 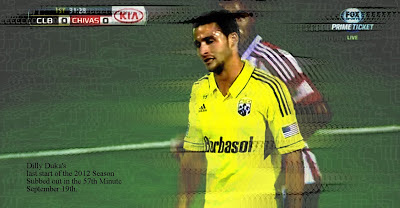 Once Mirosevic got healthy and Federico Higuain came in, things really changed. The difference between when Duka was on the field and when he was off was crazy. I really don't have much of an explanation for that other than the complete change in tactics late in the game by the coach. Speaking of which, the coach uses 3 subs each game, regardless of what is going on at the time. Part of that behavior is probably what drove Duka and a few other players crazy. Duka ended the year +5 on Goal Differential which ended up being around +0.36 per start. Good enough for 3rd on the team. His 2.00 pts per start was 2nd best on the club. His final record was 8 wins, 2 draws and 4 loss. Duka is a good player. He's been with the club since 2010 and you could tell a familiarity was there when he was on the field. Definitely something the Crew need more of in 2013. What's frustrating for me is that I have not found evidence anywhere that the Crew look at any type of measurement I list above. I think it more comes down to how well players get along with coach's and mentions from pundits. The recent addition of the coaches son to the list of trialists in Florida all but confirms this sort of behavior. There were two things that stuck in my mind when writing the post. 1. Watch around minute 3:25 of the video. It's the 30th minute of the Chivas USA game where Duka skips the bench and sets the team off. It's where the picture in this post comes from. Duka takes a shot / cross off a nifty back heel from J Williams. It heads out of bounds for a goal kick. There is a tight shot of him after the play, he just looks exhausted from trying way too hard and beat down from whatever the coaching staff was doing to him. 2. 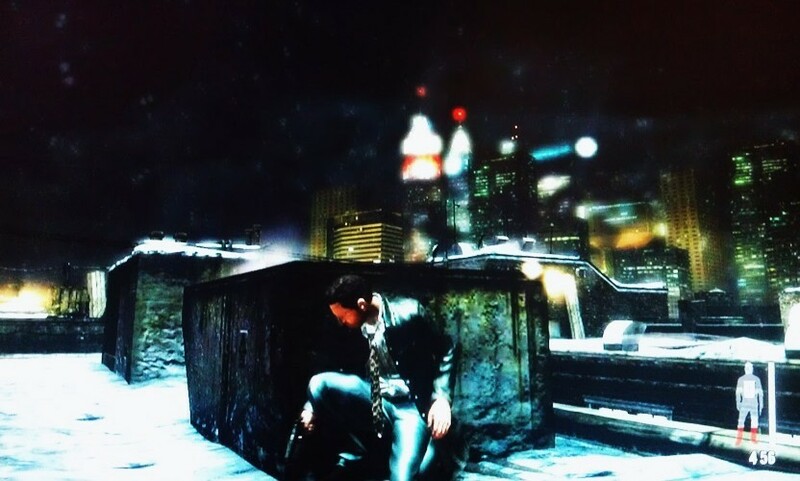 Playing a lot of Max Payne 3. Yes. There is a beautifully set scene in Hoboken, NJ about a third into the game. I've been up that way and also have met a handful of folks from that part of NJ over the years and they are great people. Also, completely different then around here and certainly different than Robert Warzycha. Anyhow, Duka is from about a half hour west of there. I dunno, guess you had to be there. Here's a picture I took.